From Saturday, October 6th, The Juice Collective will be open in CARGO 1 at Wapping Wharf, replacing former tenant Lovett Pies. 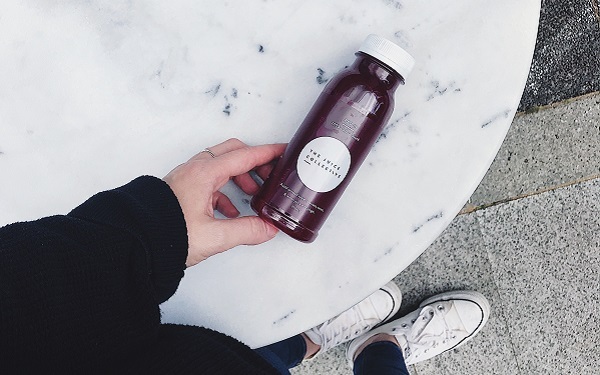 Cold-pressed juice manufacturer The Juice Collective was founded in Bath by Emma Frampton, and will be selling cold-pressed juices and superfood smoothies to go. In addition, she’ll be offering a range of breakfast bowls, toasts, coffees, speciality lattes and cold-pressed health shots, for those looking for something a little healthier than the offerings of the premises’ predecessor. Cold-pressed juicing is a means of extracting juice from fruits and vegetables by grinding them to a pulp before squeezing them in a hydraulic press under massive pressure. Unlike centrifugal juicing, no heat is generated from the process, meaning more juice is extracted, and more enzymes and other nutrients are retained. Over the coming weeks, Emma plans to increase The Juice Collective’s offering, with winter soups and more soon to be on the menu. In the meantime, though, expect the juice range to include varieties like her Green 02 (cucumber, apple, spinach, kale and lemon), Ginger 01 (carrot, apple, ginger and lemon), and Yellow 01 (apple, pineapple, lemon and ginger).